At XM we offer Expeditors (Expeditors International of Washington) (EXPD.OQ) stocks as cash CFDs. Our cash CFDs stocks are undated transactions that aim to replicate the cash price of the underlying stock, and so they are adjusted for any relevant corporate actions. Expeditors (Expeditors International of Washington) is a Seattle, Washington-based American company that provides logistics and freight forwarding services. The Fortune 500 company ensures high-tech logistics solutions for several industries, along with freight transportation by air, sea, by land, and multimodal options. 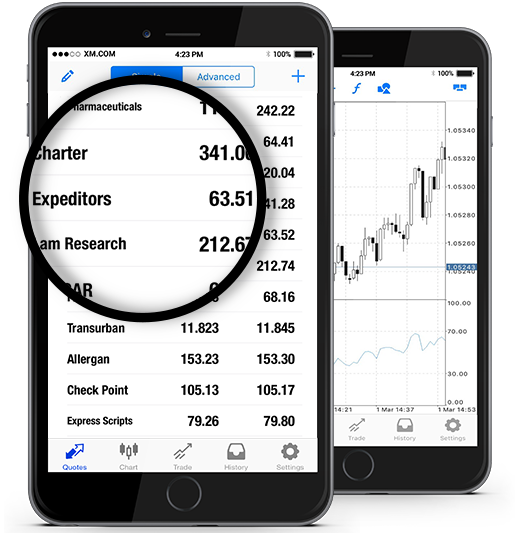 Expeditors is a component of both S&P 500 and the Dow Jones Transportation Average (DJTA) index. Its stock is traded on the NYSE. *** Note that the maximum trading volume for Expeditors per client is 278 lots. This limit will be reviewed on a daily basis and updated according to the value of the instrument. How to Start Trading Expeditors (Expeditors International of Washington) (EXPD.OQ)? Double-click on Expeditors (Expeditors International of Washington) (EXPD.OQ) from the “Market Watch” to open an order for this instrument.